Smokey chipotle chili pork tinga tacos with fresh diced onions, cilantro, avocado and crumbled cotija. Today is national taco day! 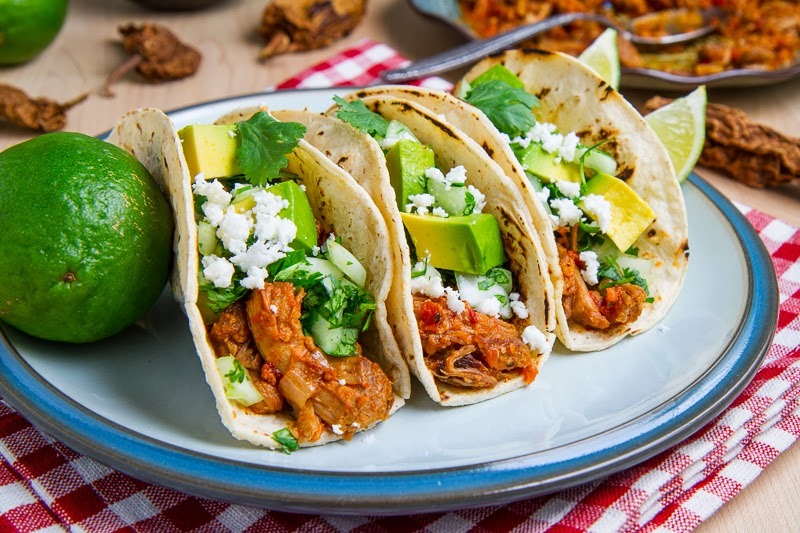 I am a huge fan of tacos and of course I have some tacos to share with you today, some tasty pork tinga tacos. 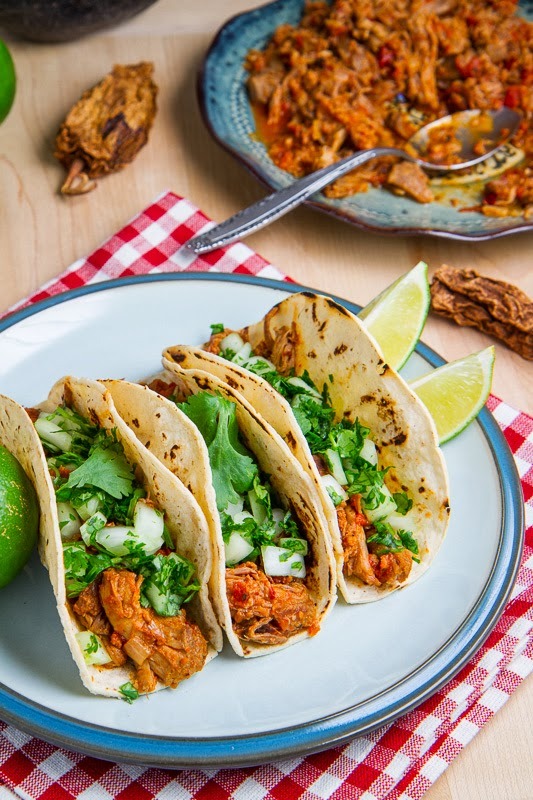 Pork tinga is a Mexican style ‘stew’ with moist and tender shredded pork along with chorizo in a tasty chipotle tomato sauce that is just perfect for filling tacos. I like to keep my tacos nice and simple and a great place to start after adding the meat is some cilantro, onions (fresh or pickled) and a splash of lime juice. You really cannot go wrong adding some creamy avocado to cool your mouth down and cheese is almost always welcome! 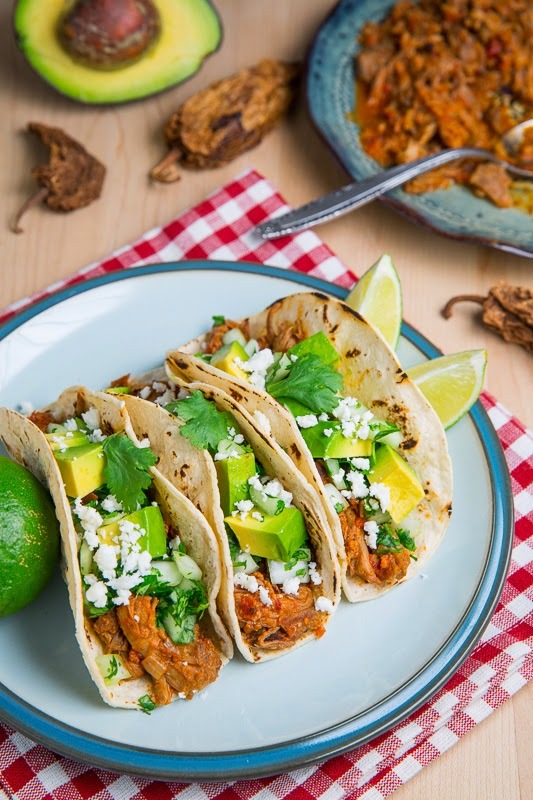 Once the tinga is made these tacos only take a few minutes to throw together making for one really quick, easy and tasty taco meal! Feel free to keep things simple and just go with the cilantro, onions and a splash of lime. National taco day? No way, that is an awesome day and these tacos are the perfect way to celebrate! So much flavor and color! I love them already! Way to knock it outta the park for National Taco Day, Kevin! These look & sound amazing!! I've never heard of pork tinga, but it sounds like something that would be right up my alley. Totally craving tacos now, Kevin!! Gorgeous plate of food. perfect for taco day! these look amazing!! National taco day was very very good to me, especially since my search landed me here. I love these and my future belly thanks you. I shared this post on my, "Whachhoo bloggin' bout" section.